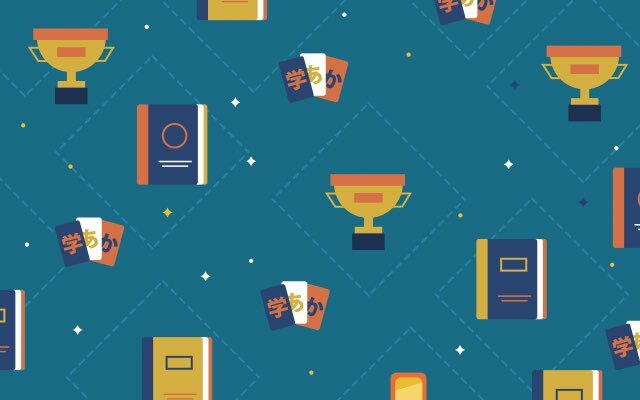 New Japanese Learning Resources: The Best of 2017 The year's best tools to help you learn Japanese! Welcome to the first ever Tofugu Awards for the Best Japanese Learning Resources of the year! We spent all of 2017 scouring the Internet for books, movies, games, websites, apps, extensions, and everything in between. We used each and every one of them to find the best ones and share them with you. The show is about teaching, so the language is appropriately paced and the Japanese subtitles are accurate to the spoken audio. Netflix really killed it with the Japanese language shows this year, so much so that all three of our favorites were distributed by them. Coming in third is Final Fantasy XIV: Dad of Light, which, as an avid player of the game, was an easy pick for me. The show is endearing, easy to understand, and revolved around family, work, and online games, providing new vocabulary for each situation. And hopefully it inspires more of you to join a Japanese server to practice your skills! Second is Terrace House, all three seasons of Aloha State completely consumed some of the Tofugu office. Watching and listening to real people in real situations, all of differing Japanese fluency, was my favorite way to keep up my Japanese speaking skills this year. Nothing's more motivating than hearing someone speak Japanese the same way you do. The subtitles for both Japanese and English made it an easy tool to learn from. The winner, however, was Michael's favorite: Japanese Style Originator. Each episode showcases some feature of Japanese culture, cuisine, or locales. 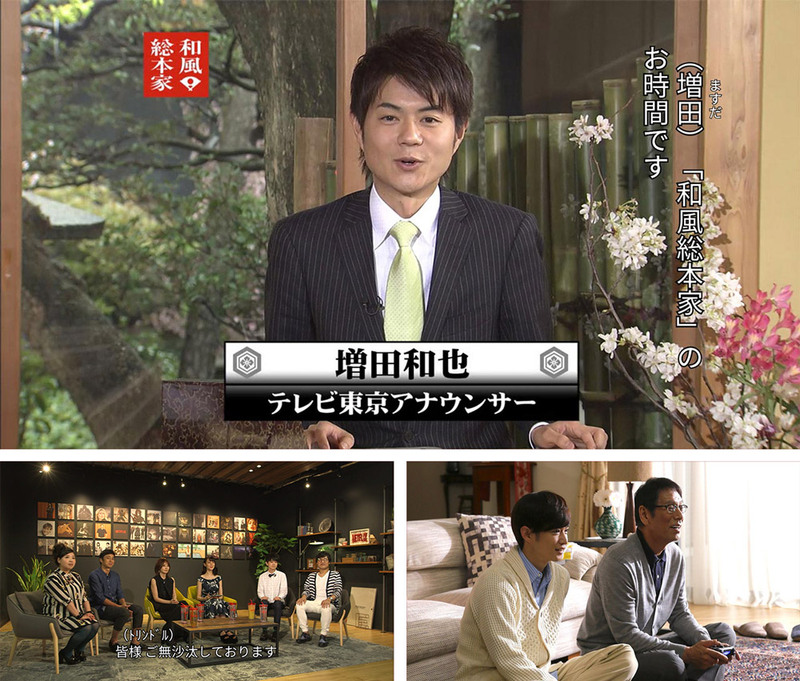 It offers an introduction to the world of Japanese television and news broadcasts. The show is about teaching, so the language is appropriately paced and the Japanese subtitles are accurate to the spoken audio. While it may not be an engaging drama or a hilarious comedy, it was the best show to actually learn from in 2017. Our top three in the books category couldn't be more different and we were all going in expecting to fight for a different winner than we got. But in the end we were unanimous—one just offered leagues more information than the others. In third place, we have what I think was many people's number one choice of the year. 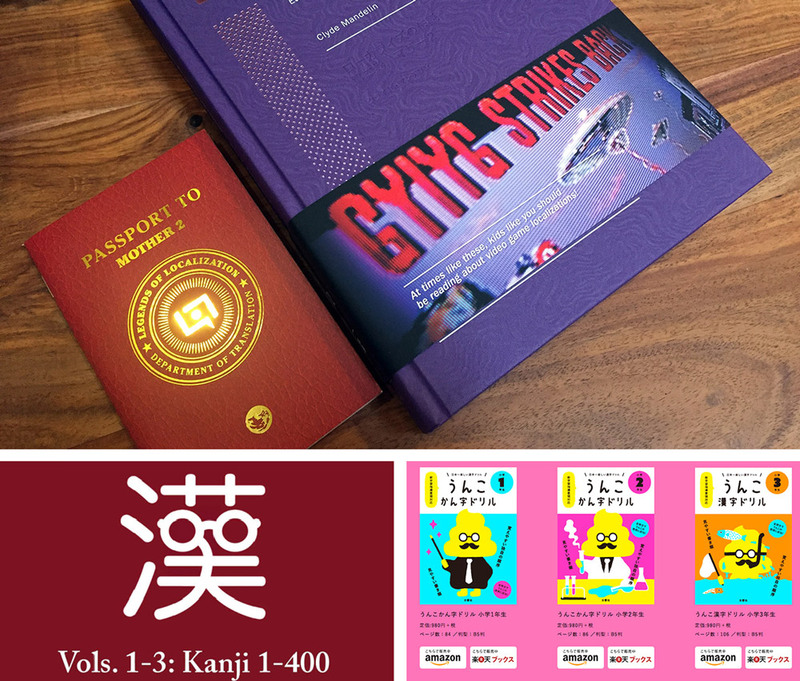 Unko Kanji Drills' six book series was a complete surprise that seemed to pop up overnight and take the Japanese learning community by storm. These books use the age-old formula of "just add poop" to make content more interesting to children. While these books are aimed at Japanese children, their creative and engaging kanji learning content was a hit with foreign language learners as well. Coming in second are five ebooks to be used in tandem with the Kodansha Kanji Learner's Course called the KLC Graded Reading sets. They offer a wealth of example sentences, context and grammar notes, and kanji information to supplement the aforementioned textbook. They're basically a must have if this is your kanji learning method of choice. And there are four more volumes set to release in 2018, but don't worry, we'll let you know when they come out. First place is awarded to Legends of Localization Book 2: Earthbound! As we talked it out on the podcast, we realized that everything in this side-by-side analysis of the Japanese game Mother 2 and its English iteration, Earthbound, just had too much information on language, translation decisions, Japanese history and culture, as well as fantastic design. We couldn't help it… it just wins. There's something incredibly powerful about being able to see and understand the translation decisions that went into an entire game. And the game is focused more on conversations and puns than fighting, so it will really help your Japanese skills shoot into the stratosphere. 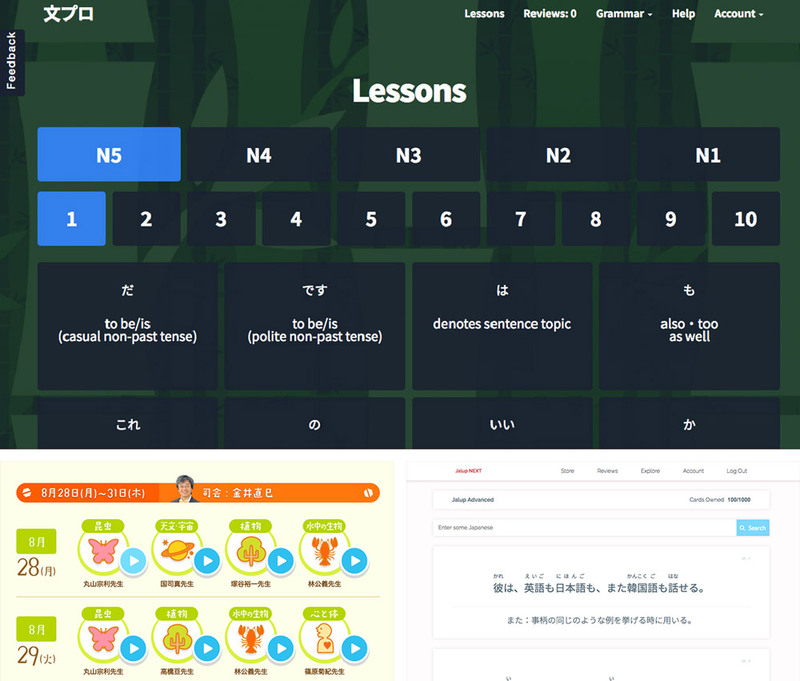 Take the winning combination that makes WaniKani so great for kanji and apply it to Japanese grammar. So many amazing websites popped up this year! It was incredibly hard not to give out honorable mentions to three or four, but we finally narrowed down our top three based on how many people could benefit from them and how much information they'd really get. Here are our top three out of a whopping fifteen nominees! Third place goes to Jalup NEXT: Advanced. I can hardly believe this resource exists and that everyone isn't constantly talking about it. This linking flash card program released its advanced deck in May. It teaches grammar with Japanese sentences and each piece of each sentence is selectable, providing another card with all Japanese definitions, context, and audio. And the audio is some of the best I've ever heard from a Japanese learning resource. If you like learning Japanese with sentences, you have to check this out. Seriously. Second place belongs to Koichi's favorite resource of the year, 夏休み子ども科学電話相談. Every summer, the NHK produces a show where Japanese children call professional scientists and ask their questions. Then all of the recordings are put online for everyone, including you, to hear. The language is simple, because it's literally for kids and the science-based topics are super interesting. Plus you get to hear a scientist explain to a young boy (through giggles) why he needs to wear underpants. 10/10. With all of these fierce competitors, Bunpro still came out on top and not because some WaniKani users made it. 😉 This is a free SRS-based site for grammar. Take the winning combination that makes WaniKani so great for kanji and apply it to Japanese grammar. You have to type in your answers, they frown on cheating, and it's spaced repetition. They also link to free grammar websites like Tae Kim and IMABI, so you're getting all your lessons in one place, coming back when you need them. Wonderful! Another shock this year was how many interesting apps came out and we realized while we discussed our list that we may not have explained what constitutes an "app" in our eyes. Basically, it's something you download from an "app store" that isn't a game. Make sense? I hope so, because it's too late to change the category now. Third is Duolingo's app Tinycards. While Duolingo's new Japanese course didn't make our best of list (for many reasons), their lightweight flashcard app did. Similar to Memrise, in that users can make their own decks and share them, this is a much more user-friendly flashcard app than the popular Anki program. And while there are plenty of pre-made decks, if you take the time to make your own, it can be a wonderful supplement. Second place goes to LingoDeer and their adorable little bespectacled deer mascot that we all fell in love with. 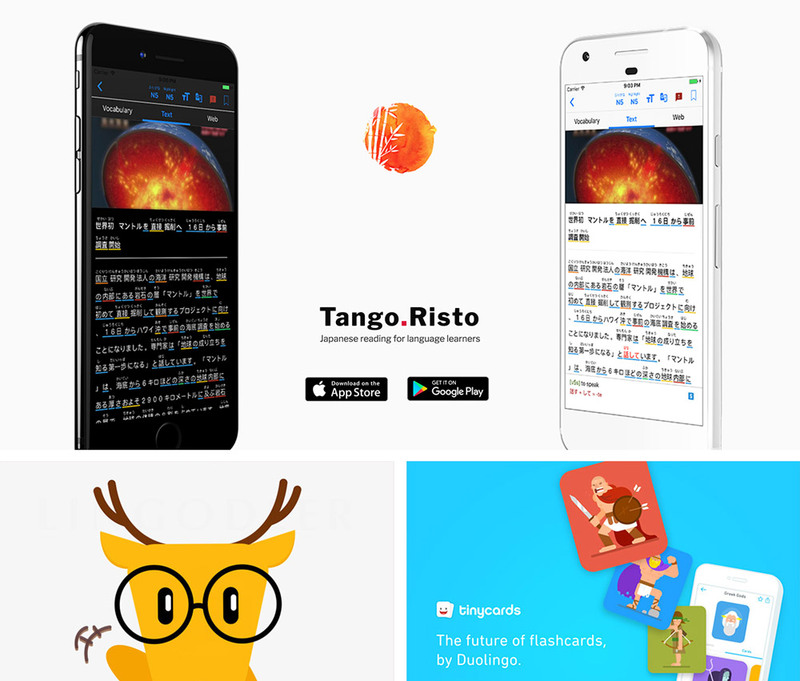 Instead of the far-reaching, many-language-encompassing Duolingo (sorry about all the negative comments about it, but it's been a bad year for them), this charming app focuses on CJK, that is Chinese (Mandarin), Japanese, and Korean language teaching. The visual and audio design are on point, and the app teaches far more than most others of this style. So if you're going to pick an intuitive learning app for Japanese, this is the best one we've found. In first we have TangoRisto, a unique little reading app made to help you actually learn from all those NHK News Web Easy articles you've been trying to read. The app takes these news articles, parses them, and gives you vocabulary lists with readings, meanings, and JLPT levels. There are tons of customization options to make it as efficient as possible for your particular level (like adding and removing furigana). And honestly, we were shocked it took so long for an app like this to come out, but we're glad it finally did. It's a story about relationships, first and foremost, but it's also about farming, cooking, mining, fishing, and hats. There's a nearly never-ending amount to learn. The best games for learning Japanese are the ones that are true to life. They teach you about everyday situations, not medieval inventory lists or how to manage your spheregrid. This year we were blessed with three fantastic games (there were way more, but I'm not allowed to talk about more than three) that just happen to be pretty darn useful for Japanese studies. Third place belongs to the brand new Animal Crossing: Pocket Camp. While the game is a shell compared to the usual full-fledged Animal Crossing games, this is the first of its type that is 1. a free mobile app and 2. can be easily switched from Japanese to English and back at any point. Learn the names of fish, bugs, and fruit. Learn a few different accents and become friends with adorable critters. It may be a somewhat shallow game if you're used to this series, but it's a great, everyday language booster. In second, we have Persona 5. I don't know about you, but I played the ever-loving うんこ out of this game. And while you have to have Japanese hardware to play the entire thing in Japanese, the Japanese audio options are available in the English version. This is a very Japanese game, in that a lot of settings and situations are specific to Japan. While there are supernatural elements to the story, there are some things you just won't see in most games. Plus you get to try and ace your Japanese final exams. Good luck! 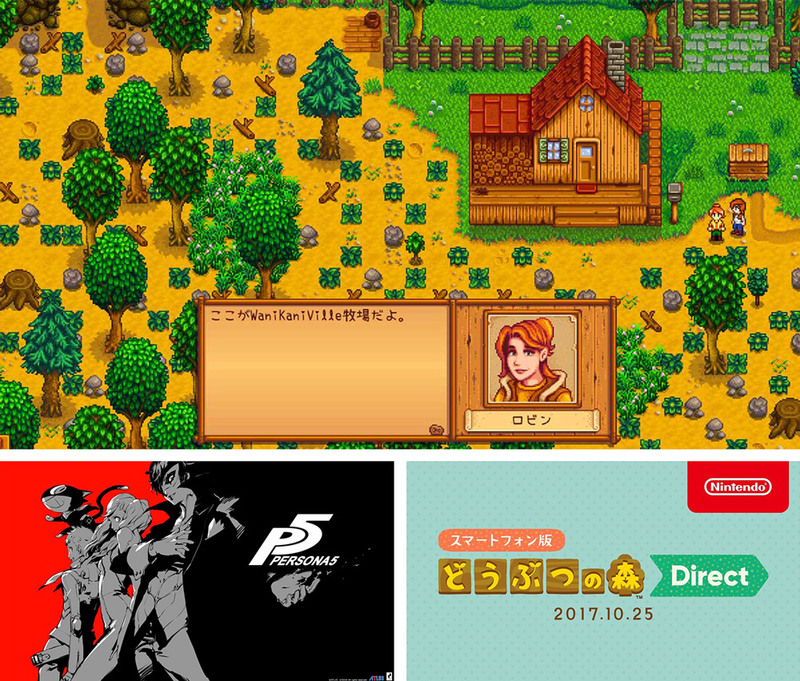 First place belongs to Stardew Valley's Japanese localization. This spiritual successor to the Harvest Moon series was one of my favorite games of 2016. Then in 2017, the long-awaited Japanese localization dragged me right back in. It's a story about relationships, first and foremost, but it's also about farming, cooking, mining, fishing, and hats. There's a nearly never-ending amount to learn. And the Japanese font is a mix between handwritten Japanese and pixel art. Honestly, I was blown away. I highly recommend this game whether you want to play it in Japanese or not. There were a lot of random resources this year, you guys—like really random. So we shoved them all into a wildcard category. You can also think of these as "The Best of the Rest." Third place goes to Rikaichamp on a technicality. If you aren't a Firefox user (me neither), then you may have missed when millions of voices suddenly cried out in terror and were suddenly silenced. Firefox Quantum came out and broke like everything those users had. That includes the no-longer-supported Rikai extension(s). Rikaichamp is a lightweight workaround version of Rikai, so those of you who realized that using Rikai to "learn" Japanese has actually made your reading skills weaker… well, you have a backup. Second is as much of a surprise to me as it is to you. Remember months ago when I joked about this little device that you can talk into and translates simple phrases into Japanese for travel? Well, we got one in the mail! It's ili and it's… actually good? I know, crazy. I can't tell you much more, but we're going to be giving it to our Japanese-less staff on our upcoming company trip and reviewing the heck out of it, so be prepared for that. 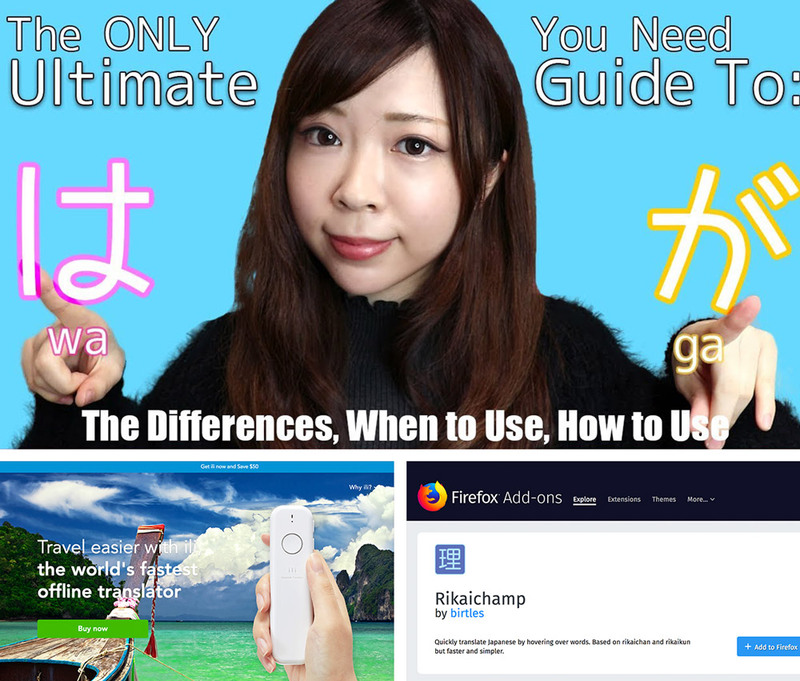 The number one random resource of the year is the YouTube video The Ultimate Guide To: は vs が (The ONLY lesson you need!) by Misa of Japanese Ammo. I've been telling people to read Jay Rubin's explanation of は and が for years, but this has actually replaced it in my mind. This forty minute video covers all usages, with multiple example sentences, comparisons, and on-screen Japanese and English supertitles. Every single person reading this right now should go watch the video. You're welcome.